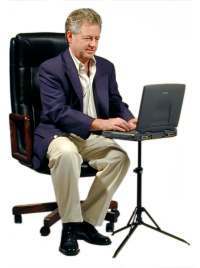 Due to the small size of their keyboards and the fixed position of the monitor (in relation to the keyboard) laptops can be a source postural discomfort for operators. A number of products exist to help deal with these problems. For more details on laptop accommodations, check the Laptops, Notebooks, and Netbook Computers page. 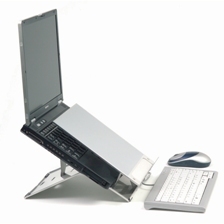 Laptop stands are a frequently used device to make a laptop more ergonomic. However, use of a stand precludes using the laptop's built-in keyboard and touchpad. 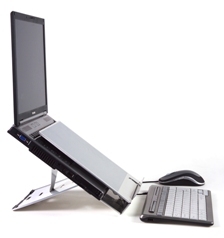 Consequently, to use a laptop stand you will need to attach a keyboard and mouse. 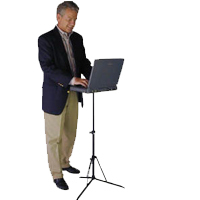 Click here for the Ergo-Q Ultra-Portable Laptop Stand. 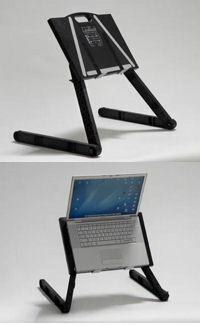 Click here for the Ergo-T340 Laptop Stand. 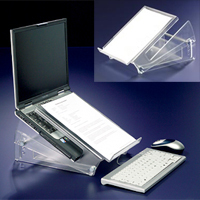 Click here for the Ergo-Q 330 Notebook Stand. Click here for the Ergo-Top. Click here for the Ultra-Lite Laptop Laidback. 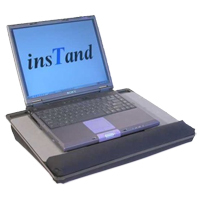 Click here for the Carliss InsTand Basic Laptop Stand . 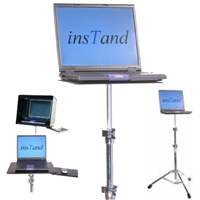 Click here for the Carliss InsTand Sit/Stand Laptop Stand . 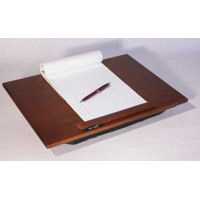 Click here for the Carliss InsTand Heavy-duty Laptop Stand . 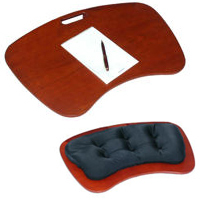 Click here for the Carliss BeanBag Laptop Table (standard and mini models). 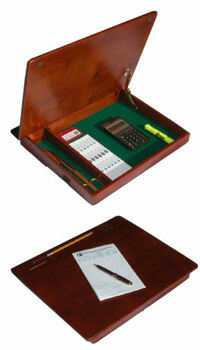 Click here for the BeanBag Deluxe Laptop Table. Click here for the BeanBag Executive Table.